Hi, I have a complete desktop PC computer for sale. 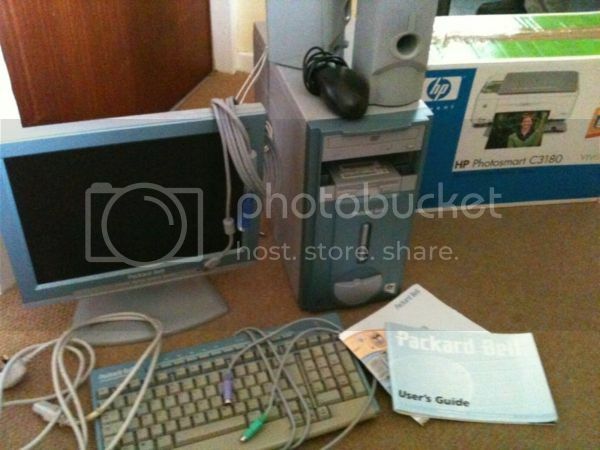 Tower, LCD screen, keyboard, mouse, speakers, all cables, printer/scanner. It's not the newest machine but it is a decent computer (specs include Intel 2.2Ghz processor, 80GB harddrive, USB ports, network card). It would be ideal as an office computer or for internet browsing/media playing or for children for school/homework/light gaming purposes. Just £70 for everything. Collection preferred (Warwickshire), but I can arrange a courier for an extra fee.